Ah, the product page… the page that needs to convince the customer to buy. Unsurprisingly this page should be given a HUGE amount of attention, whether you’re just about to redesign your ecommerce website, or if your ecommerce website is already well established. 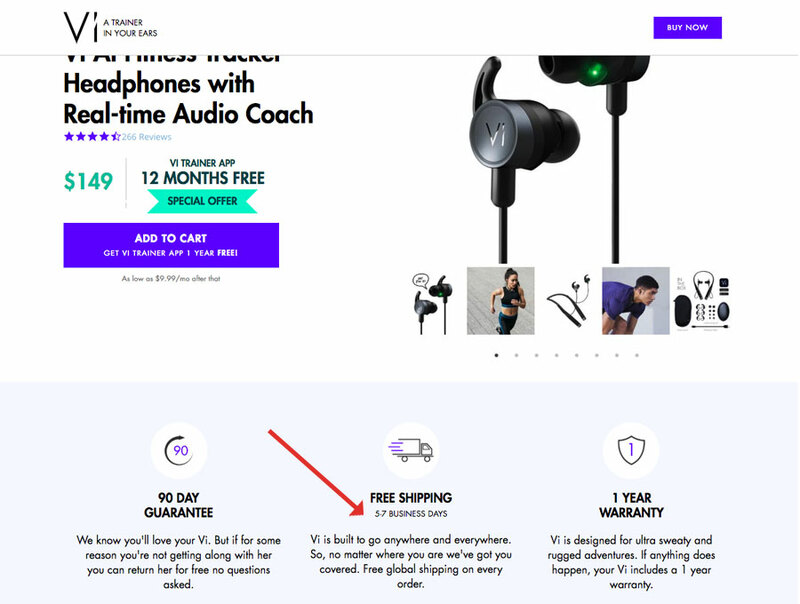 So either way, let’s look at 15 tips you can use to enhance the effectiveness of your ecommerce product pages. If you want to sell online you need to use high-quality photography to showcase your products and integrate a ‘zoom’ feature so customers can see the product close up. If you show your product from multiple angles you’ll sell more as the customer will have much more confidence in buying the item. Great photography is a necessity when selling online. John Lewis does a great job of displaying their products. Showing both isolated on a white background, and in-situ. This helps to give visitors an idea of size and see the different aspects of the product. Imagine sitting down in front of your computer blindfolded. Stay with me here… Then, imagine someone removing your blindfold and revealing your product page to you. You need to be able to take everything in within 3 seconds, so make your “Add to Basket” buttons large and contrast it well with your site background. 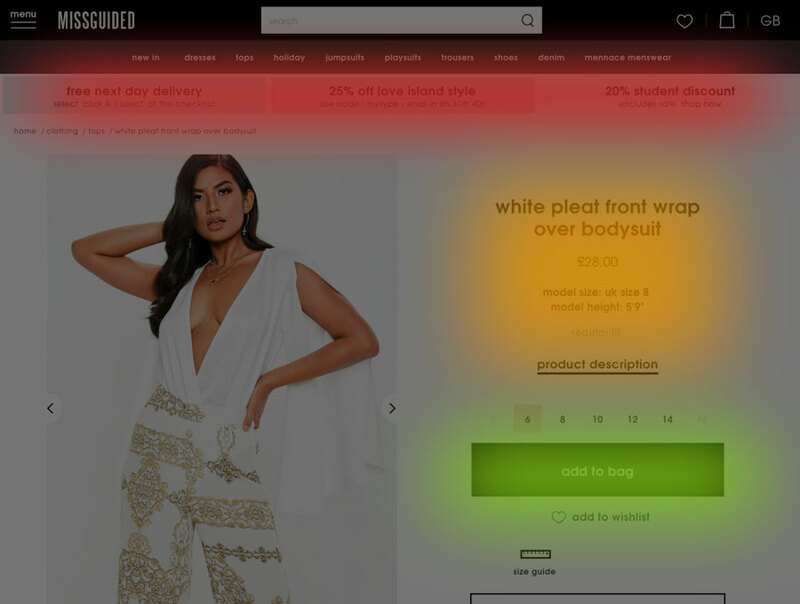 Missguided’s product pages are a great example to follow. The most important information is shown to visitors above the fold, which means they don’t have to scroll. 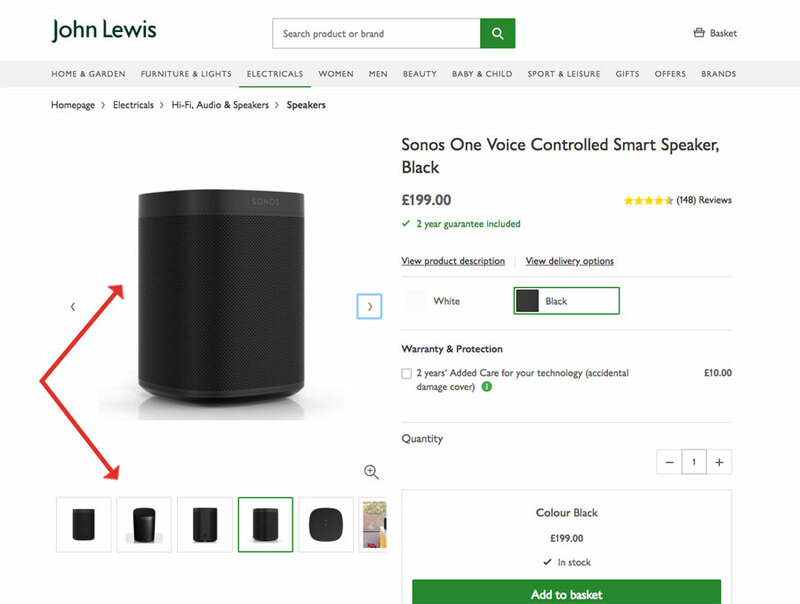 The simple product page presents the product information clearly and succinctly, while the high impact ‘add to bag’ button prompts visitors to buy. 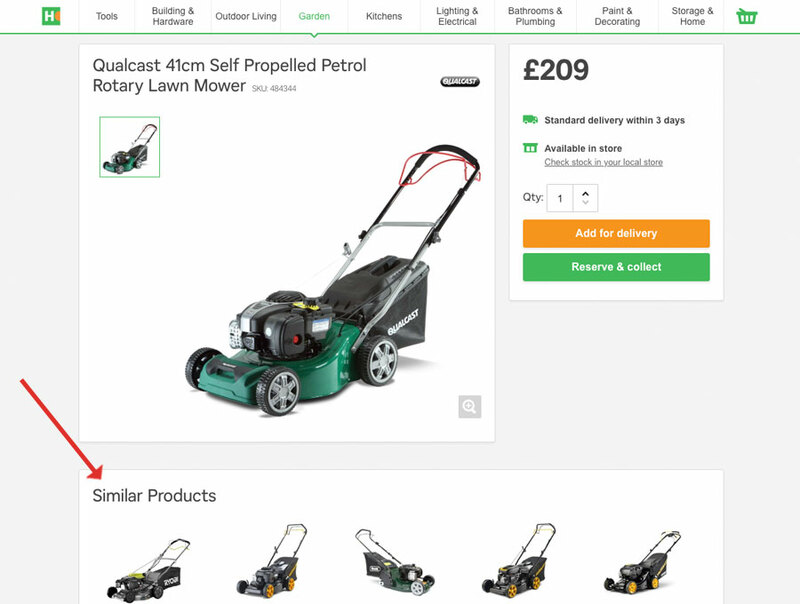 Another way to enhance the effectiveness of your product pages is to allow users to add the product to a wishlist whether they are logged in or not. This is a great wishlist plugin that allows you to do just that for Woocommerce e-commerce stores. Wishlists are a great way to enable your visitors to save things for later, and it also encourages sign-ups. Loyal customers will regularly browse your website and save items to their wishlist, with the intention of purchasing at a later date. 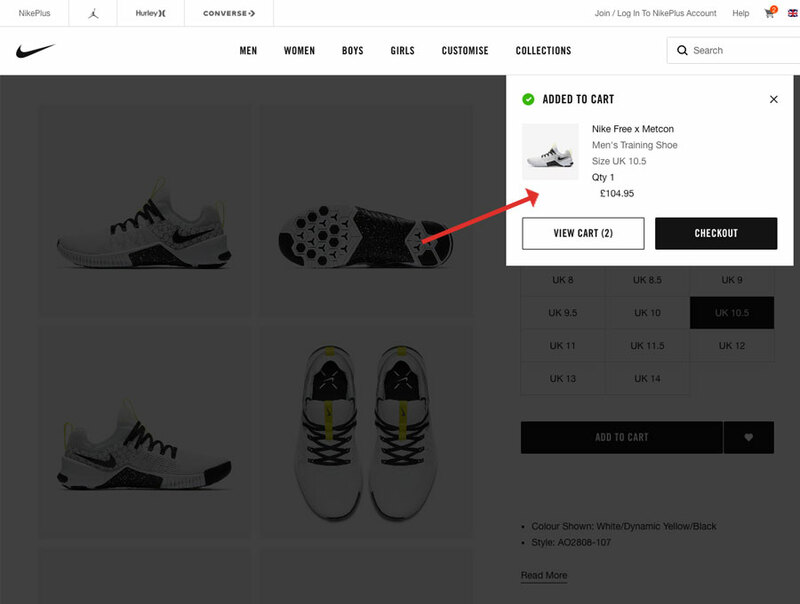 Nike prominently displays their wishlist buttons on product pages, to encourage visitors who aren’t ready to purchase, to save it for later. Showing related products is a great way to upsell your visitors. One company doing it well is Homebase. For example, if you’re looking at a garden furniture set, they suggest a parasol and cover. Up-sell products after an item has been added to the basket. This is a great chance to increase your sales, as you can sell products that go with the product they just bought. Upselling on product pages is a fantastic thing to do, especially if your products require fringe accessories. 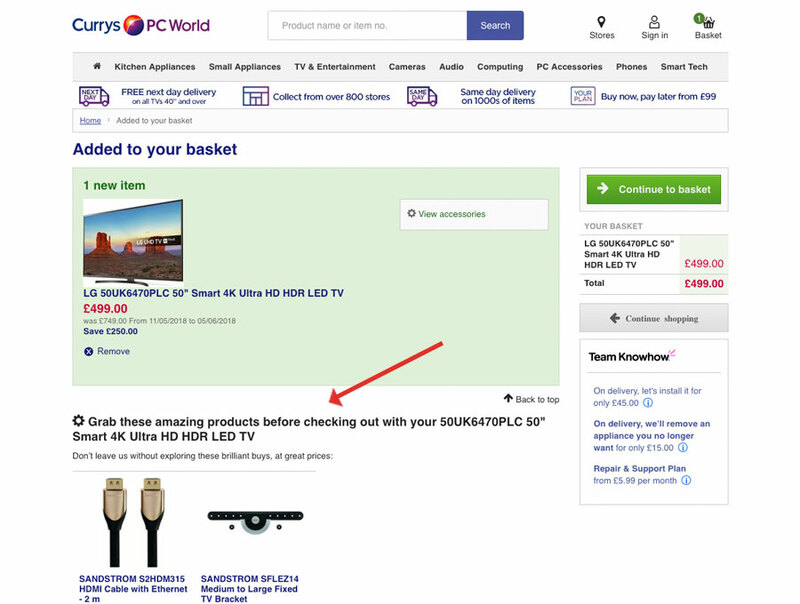 Currys PC World is one company that does upsell perfectly. For electronic devices, like TVs items, they suggest cables and brackets – an easy way to get customers to add additional items to their order. This one is so often overlooked, but great words go a long way when it comes to selling your products, so make good use of your product descriptions. Descriptions are a great opportunity to get across the personality of your brand and to also get your product ranking well on Google. 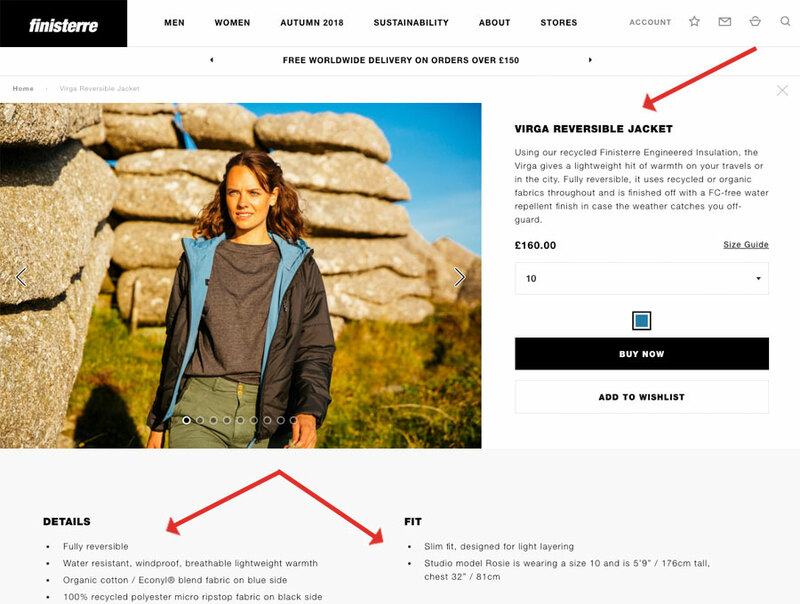 We’d recommend keeping your description short and engaging but then giving the user the ability to click “Read More” to reveal a more in-depth product description. In order to sell your products, you’ve got to wax lyrical about them. Highlight both the features as well as the benefits. Finisterre does this very well, with a brief overview and more detail and fit information. In the case of premium products, more is more. Your product descriptions should be irresistible and compel people to buy. Only show reviews if you’ve got reviews to show. Having lots of products showing 0 reviews doesn’t instill confidence. If you are a new online retailer, consider signing up to Trustpilot and then getting customers to review you. Trustpilot reviews will increase your conversion rates. Reviews are a form of social proof. If you got a lot of stellar feedback on your products, you’re going to find it easier to sell them than if you didn’t. 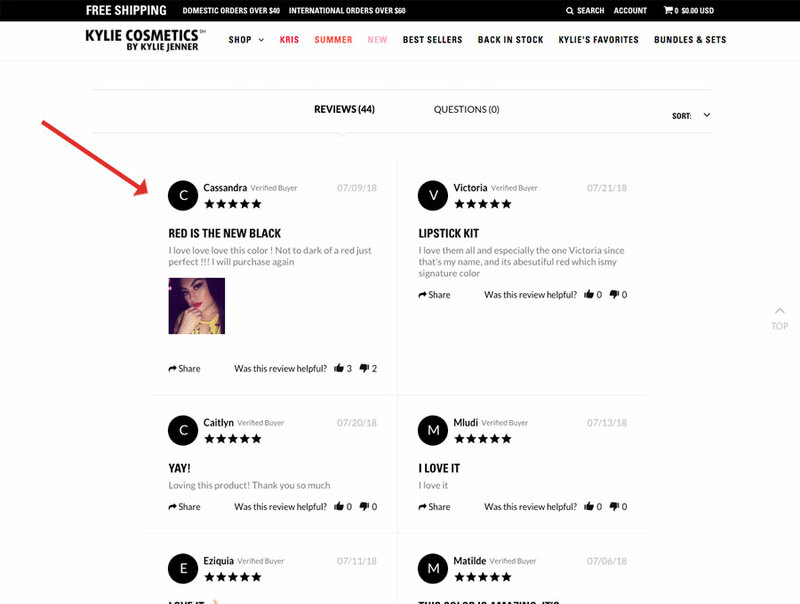 Kylie Cosmetics is an example of an online retailer that include reviews on their product pages. Reviews help take the hesitation out of online purchasing. For many customers who’ve never shopped on a particular website, they aren’t familiar with the quality or customer service. Reviews are a great way to instill confidence and convert new customers. 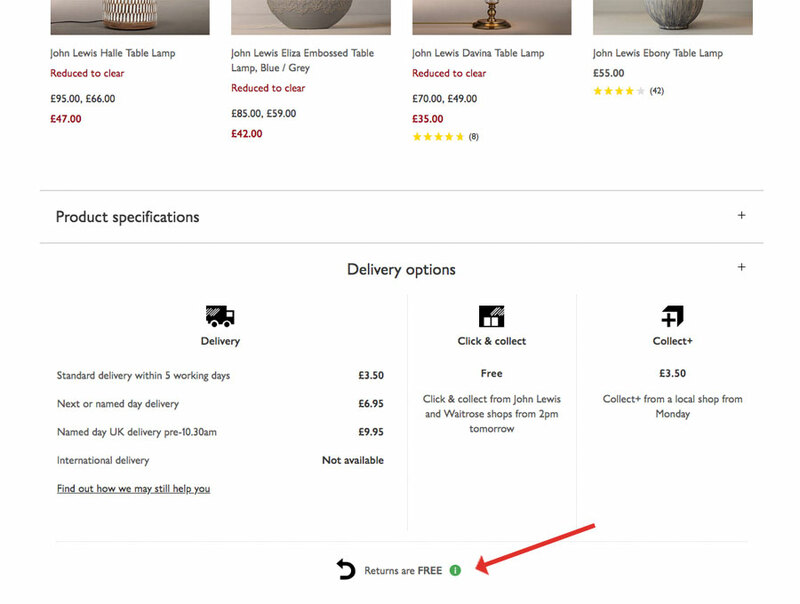 Show any offers you’re running clearly on your product pages – for example; if you have free delivery when you spend a certain amount, shout about it! 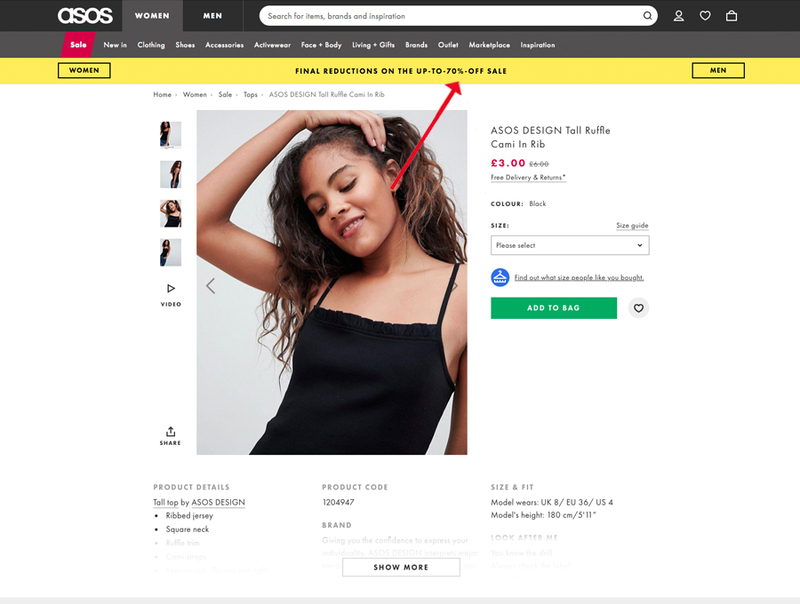 ASOS do this really well with a stand-out yellow strip below the main navigation that encourages me to shop their sale. Include video of your products if you can because consumers are increasingly expecting to view videos of products before they buy. Video trumps text. According to Matt Childs from Brightcove, video creates a 105% increase of time on site and 2 times overall conversion. Video makes it easier for your visitors to consume your content. Instead of having to read a few paragraphs, your users can instead passively watch your videos. Not only that, video helps your audience get a better feel for your product, as opposed to looking at static pictures. Sonos do an amazing job of this. 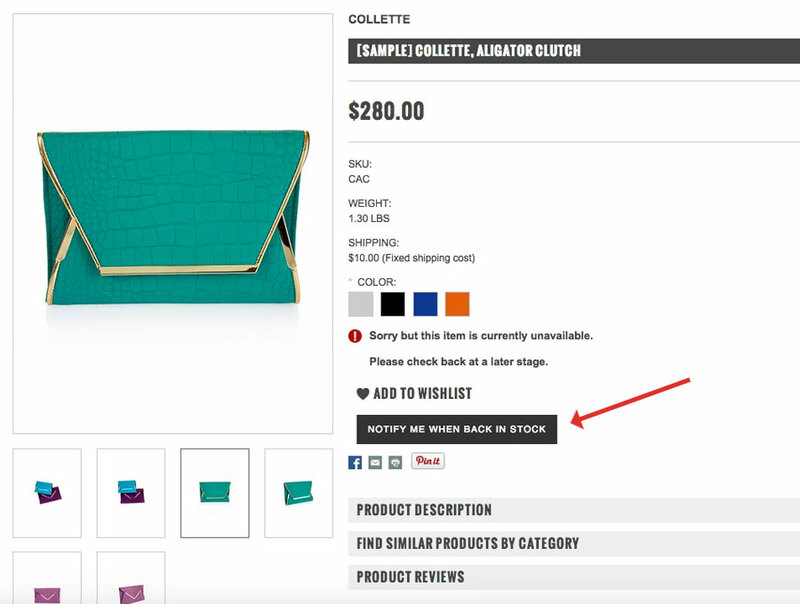 If the product is out of stock, make it easy for the user to enter their email address to get notified when it comes back in stock. Ever been on a website just to see that the product you’re after is sold out? How many times have you subsequently gone back to see if it’s back in stock? Back in stock notifications help you keep hold of interested customers. Display your returns policy clearly to avoid any possible doubts or concerns in the customers mind that might be keeping them from buying. Making your returns policy information easy to find is another great thing to do, as doing so can help to reduce the hesitation visitors have before buying from you. Visitors should be able to find out everything they need to about a product from the product page, and this includes delivery and returns. Make sure you’ve got payment methods (e.g. PayPal, Stripe, WorldPay logos) clearly shown in the footer as these provide trust. Displaying accepted payment methods is a great way to build confidence in your audience. Including the payment method logos you accept in your footer, is a great way to increase conversions. 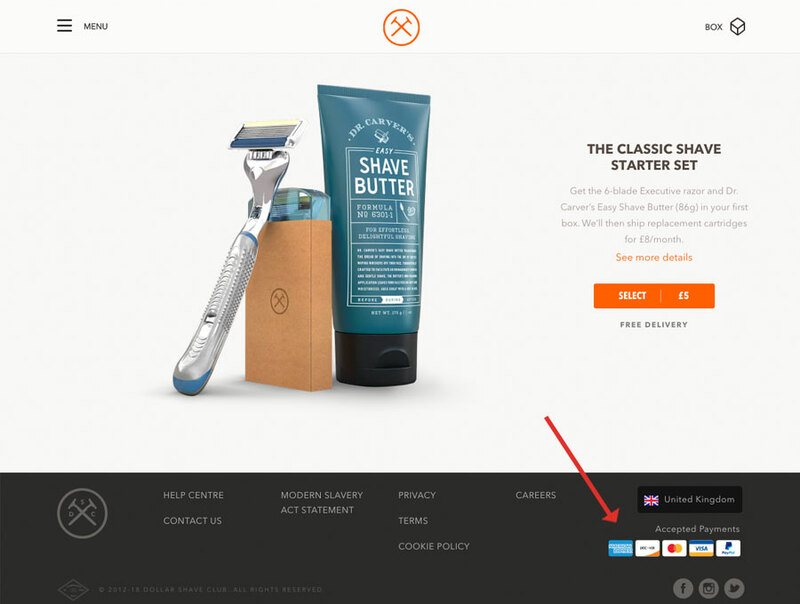 As you can see from the screenshot above, The Dollar Shave Club is a company that does this very successfully, especially when combined with the succinctness of their product pages. When a customer clicks “Add to Basket” show some really obvious feedback that the product was successfully added to their basket. Providing feedback on your site is key to assist users. A very simple example of this is hover-states. If you don’t have them, your hyperlinks or buttons don’t look clickable. 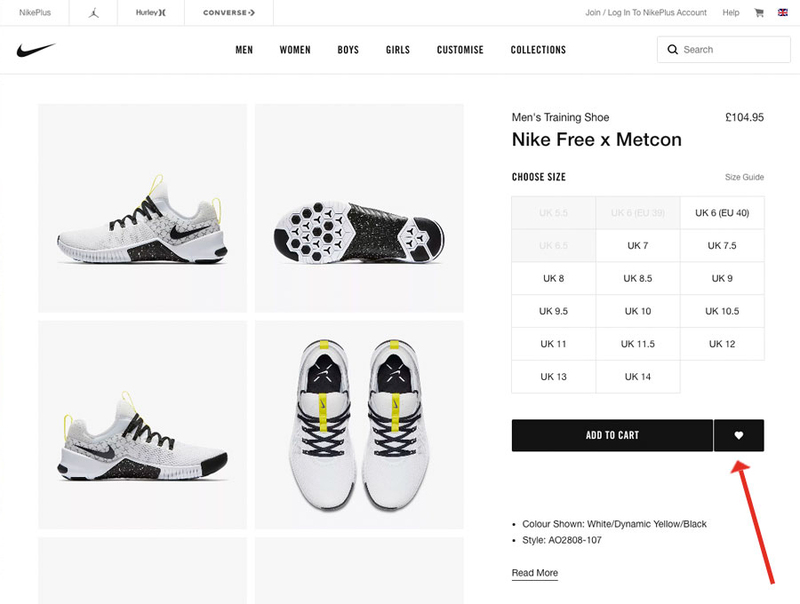 On a more advanced level, responsive buy buttons are a great addition to any ecommerce shop. For example, when the user hasn’t selected anything, the button is greyed out, prompting them to select a size. Once they’ve done the button becomes active. Once they’ve clicked it the text changes to ‘added to cart’. You can see how Nike do this well from the image above. If at all possible, show estimated delivery times and prices on your product pages. Showing estimated delivery timeframes is brilliant. Vi is an example of a company doing this really well, another is Amazon. All of their Prime Products, as members know, have next day delivery. Displaying delivery info is a great way of decreasing frustration among customers, and ease the purchase process. Have you ever gotten to the cart, only to find out that your order will take 2 – 3 weeks to arrive? This is what we want to avoid at all costs! 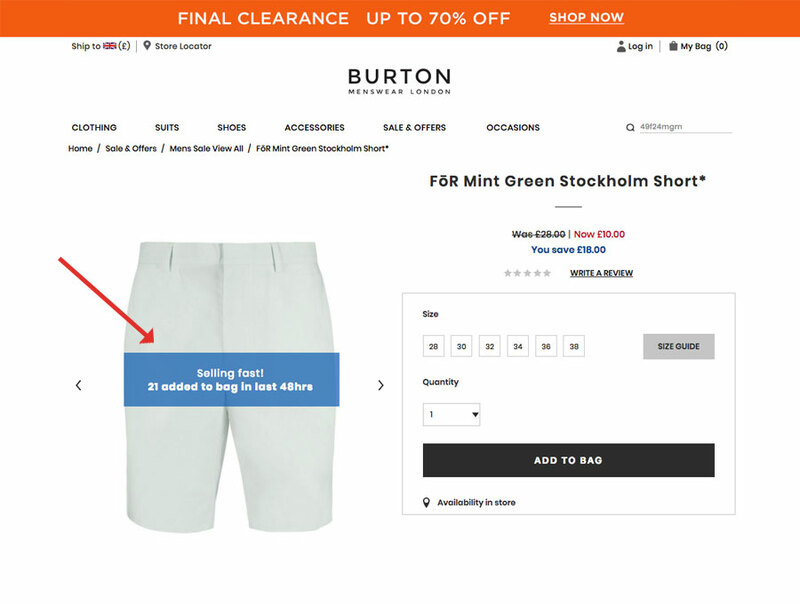 BONUS: to increase conversions, try showing a notice: “X left in stock” just under the “Buy” button to increase the consumer’s urgency to buy. Lastly, showing purchase activity on products is a great way to incentivise sales. Burton does this beautifully, showing how many have been sold in the last 24 hours. This does two things, firstly increases visitors confidence and, helps to speed up the purchase. As you know the product pages on your ecommerce site are where all the action happens, so you need to invest time making sure you get the design and content spot on. 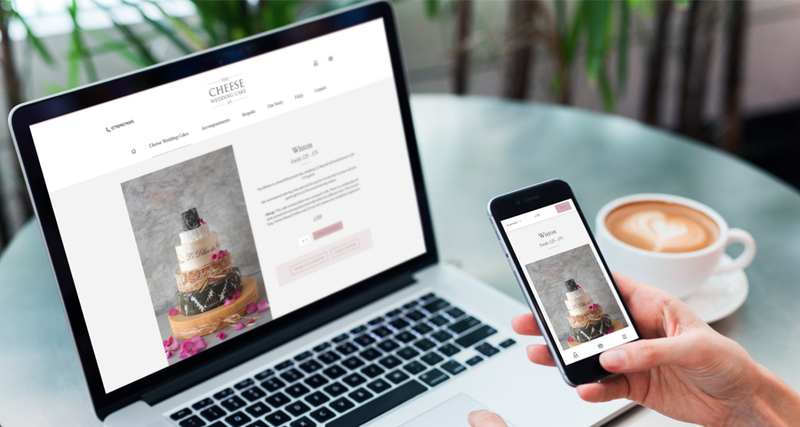 Once you’re up and running with your ecommerce website we would recommend continually testing and refining these pages to try and squeeze as much juice out of your product pages as possible. A great tool to help with this is Google Optimise, as it lets you split test variations of product pages so you can know without da oubt whether proposed changes are actually moving the conversion needle. You can also set up HotJar to record users as they interact with your product pages, as this will give you some incredible insights. 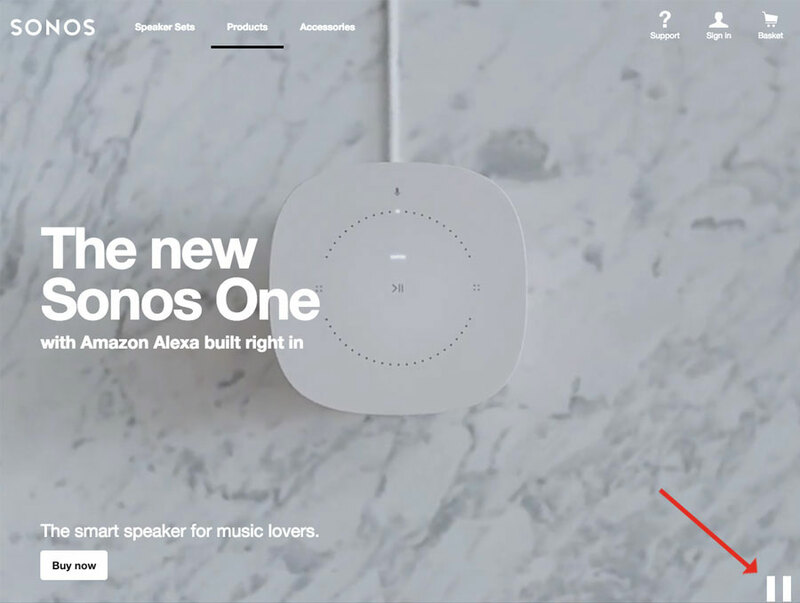 We hope this article gave you some ideas for elements you can implement and test, so go forth and make your product pages win!